The Browning BAR. No, the other one. The hunting rifle and its history. Bolt guns, gas guns and long range shooting tactics. The Browning Automatic Rifle, otherwise known as the BAR is a differently altogether distinct firearm from the more widely known M1918 BAR of WWI, WWII, and Korean War fame. This BAR was born as a product of the 1960s and FN's Commercial Project "Carbine 66". Design, testing, and fine tuning was done in 1966 and finished in 1967. A major designer in this rifle's development is Bruce W. Browning, the gun messiah's grandson. Yup. John M. Browning's offspring had a hand to play in this rifle's design. The BAR is a semi-automatic, short stroke gas piston driven, full bore cartridge hunting rifle with a rotating multi-lug bolt system that uses detectable box magazines and is chambered in a myriad of cartridges ranging from the .243 Winchester to the .300 Win Mag and larger. The BAR has gone through a number of developments and production changes. The first model introduced in 1968 had a distinctive scalloped receiver, a complex but reliable trigger group assembly that required the buttstock to be taken off from the receiver to remove the trigger group. The magazine was attached to a hinged floor plate. Original 1968 catalog featuring the BAR. This first production run, now called the MkI was at first was completely built and assembled in Belgium. But in the early 1970s, FN opened the Browning plant in Viana, Portugal. Where to this day, BARs are made in Belgium and assembled in Portugal. This was also the same plant that Hi-Powers were also assembled too before they ceased production. In 1976, production was slightly simplified and the MkII was born. Produced from 1976 to 1992. Some of the changes were in the rear stock tang and the addition of a bolt catch/release lever. Additionally, the trigger assembly group was simplified and now held in place with cross pins. But the classic quality was still there as was the scalloped receiver that mimicked the Browning Auto-5 Shotgun. This is the second most prolific sub-type out there. The hinged magazine is still in place but the magazine body itself can be removed. The current production, known as the MkIII started in 1993 and is made to this day. The MkIII is a somewhat radical departure from the classic BAR. Gone is the classic scalloped receiver, the gas system was redesigned for increased reliability, Long and Short actions were made instead of using one universal Long action receiver and variations started to come out of the woodwork. There is the Stalker, the LongTrac, the BOSS, and so much more. 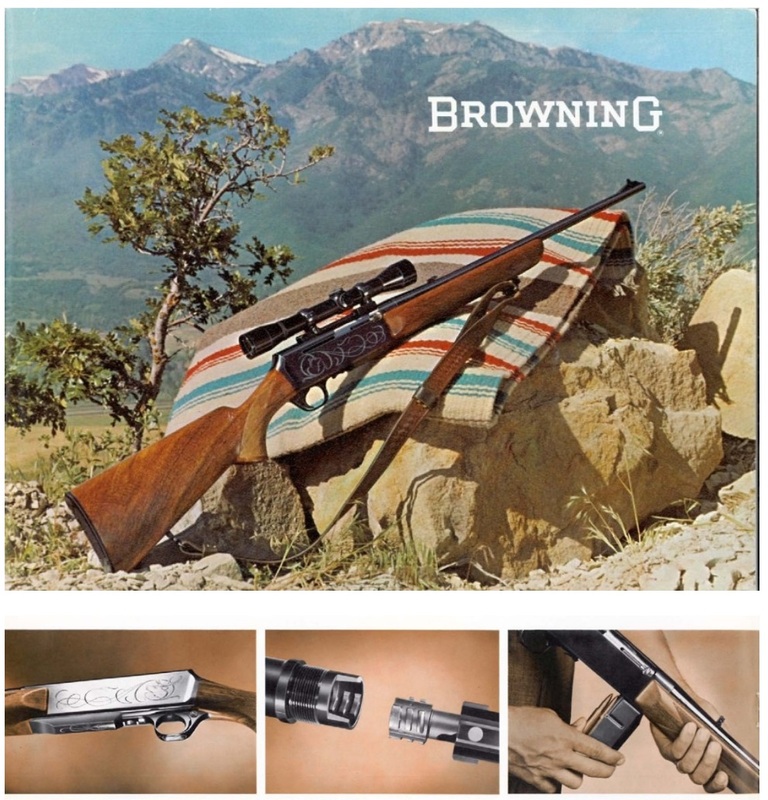 This included oddballs like the Browning Pump Rifle and the Acera, a straight-pull version of the BAR. These were developed in the 1990s as a result of the Clinton Assault Weapon Ban and the various laws passed in Europe. The fear was that FN believed semi-autos would be outright banned in the US and also planned to market these in Europe in countries where the ownership of semi-autos were verboten. The Acera and BPR are one the rarest of BAR variations that are highly sought-after by collectors. The BAR was also sold under FN's other name brand like Winchester as the Winchester SXR (released in 2006) and even the under their own labeling. The Winchester Super X RIfle was a slight change from the traditional BAR MkIII. It had a fully removable box magazine. Now, before I straight into the BAR being sold under the FN labeling, let's get into its more interesting history and what led to its development. In the 1970s, FN had a special project for a law enforcement version of the BAR. It was to be produced in .308 Winchester and use unmodified FN FAL magazines. The project never really went forward and it was never produced. The idea was shelved and put away to gather dust. Then in 1988, a FN engineer by the name of Joseph Rousseau while on a trip to Browning's Utah offices, fell in love with the area and actually moved his family to Utah and became the Vice President of Research and Development at Browning side of the company. Mr. Rousseau was the man behind the MkII BAR and actually dusted off the idea of a truly detachable box magazine for the rifle. But again, the higher ups at FN in Herstal said no. It wasn't until 2006 with the Winchester SXR, that Mr. Rousseau's design for the MkII magazine came about. In the early 2000s, FN saw the market shift in police tactics in regards to sniping. FN had a fantastic bolt action platform in the Winchester Model 70, but SWAT teams across the country wanted a semi-auto and FN's American branch in Columbia, South Carolina cleared dust from the long ago police project to compete with the growing popularity of the Springfield Armory M1A and the Knight's Armament SR-25. The Fabrique Nationale Automatic Rifle was born and released in 2008. Developed at the same time as the SCAR-17. The trickiest part was developing a reliable magazine, so the design team looked at what their cousin in Belgium were doing. Both rifles share a similar magazine design with roots from the fabled right arm of the free world, the FN FAL. With that squared away. The designers then looked at making the FNAR more usable for the police market. Gone is the fancy blued finish and instead it came with a matte parkerized finished. The barrel was beefed up to a twenty inch heavy profile, that was fluted for better heat dissipation and the target match crown was recessed to keep accuracy above par when thrown around in the back of a patrol car. Also the stock was made of polymer instead of high grade wood and accessory rails were added too. Lastly, a nice full receiver length MIL-STD-1913 picatinny rail was placed on top of the receiver to give the user more options in scopes than what was traditionally done with the BAR. Now, FN seeing market potential. Also released this updated rifle under the Winchester brand as the Winchester SX-AR and eventually also released the Browning as the BAR MkIII Detachable Box Magazine. The SX-AR was for the most part a relabeled FNAR except it didn't have the side accessory rails and the full receiver length picatinny rail was made into a more traditional two piece mounting point for optics. Also the barrel was non fluted and the only finish it came in was camouflage. Sales were lagging in the law enforcement market since it was under-bid by the proliferation of AR-10s. FN teamed up with McMillan Stocks to develop the FNAR Match. According to McMillian, they had made ten prototype stocks for ten FNARs with modified receivers to mate with the stocks. The normal FNAR rear stock attachment was modified to fit the McMillian stock. The bolt release was also modified. The project was done to create both a California legal gun and attempt to get additional accuracy. Apparently, the ten guns were tested and shot between 0.75 and 1 MOA and this was already the standard with the FNAR. FN did not consider this a worthwhile endeavor since there was no increase in accuracy and the FNAR had to be modified to fit in the McMillian stocks. The project was ultimately scrapped. Now, while the FNAR didn't succeed very well in becoming an established police sniper rifle. It did see some interesting duty. Specifically anti-piracy duties. Yup, Carl 'Rock' Manson, a former British Royal Marine became involved in maritime security in 1991 and since then has defended ships against Somali Pirates. Carl Manson with a FNAR. The traditional BAR MkIII kept right on chugging. But fans of the rifle still wanted the main updated feature, the reliable and rugged detachable box magazine. So FN listened and answered their call in 2016. First, FN spun the FNAR into being a high end production gun and this time they have it with a adjustable wood stock and even a small picatinny rail on the barrel so the user can mount iron sights. Now sold as the FNAR Competition; it is marketed as a three gun match rifle along the same lines as the SLP Competition Shotgun. Then, 2017, FN pulled the standard FNAR and SX-AR from the market due to poor sales. The FNAR wasn't the 'must have' law enforcement market gun and the Winchester model just wasn't popular due to some states banning pistol gripped semi-autos due to some legislation like the NY SAFE Act, and the various assaults on the 2nd Amendment passed in California. But, FN wasn't done just yet. In 2017, they also released the updated gun under the Browning label. The BAR MkII DBM went a step further in simplification. Gone is the fancy wood stock, small front sight rail, and full length receiver rail. This model is a basic Stalker model with the ability to use detachable box mags. The BAR has come full circle now. Going from classic hunting rifle, to becoming a police marksman's rifle, to being a competition rifle, to being back again as a modern take on the classic hunting rifle that is fifty state legal. The magazines are the same. Of if your have a Winchester SX-AR, a FNAR, or a BAR MkIII DBM, you can buy the 5rd, 10rd, or 20rd mag. All are chambered in .308 Winchester and all use the same stocks. The BAR in all of its forms has been a market juggernaut outlasting of its competitors. The semi-autos from Remington, Winchester (prior to the FN buyout), HK, and others have all bit the dust. But the BAR continues. I personally believe that if FN introduced the FNAR back in the 1970s or 1980s. It would have sold very well in police circles. But due to such a delay, the AR-10, specifically the variation designed by Knight's Armament became the de facto police semi-auto sniper rifle. So with this, I leave you with exciting news. I recently purchased a NIB 2010 production FNAR and will be doing a competition of who made the better hunting rifle. Those wacky Belgians in FN or those straight faced Germans in HK. Yup, stay tuned. Because the FNAR and HK SLB 2000 will be compared in a head to head match up. Re: The Browning BAR. No, the other one. The hunting rifle and its history. Moocho thanks for that nice write up... to be truthful when I see the words BAR I stop looking after I see its not a 1918.. But wow.. I should have looked more.. Love the Acera and the BPR, never knew they existed.. Never knew anyone made a straight pull after WW I..
Had to see how they worked.. couple of shot You Tubes..
Again thanks the greatest joy is finding something you never knew existed..
Arms Tech Ltd. was contracted by SOCOM in the mid 1990s to take the BAR MkII in .300 Win Mag and make it into a long distance semi-auto sniper platform. They came up with the Super Match Interdiction Rifle. Also here is a Browning BAR Match from Europe. It is a FNAR sold under the Browning name across the pond. Great post with lots of info! But now I have to have one or five or so!